Who gives the best advice on where to get the tastiest food, what sights to visit, where to get the latest fashion and admire the most beautiful landscapes? People that live in the destination! As ESL has more than 40 offices worldwide, we asked our staff for their best insider tips to share with you. We will start our new #ESLloves series with Germany – check out what our German staff loves to do! Just 1 month to go until the big harbour birthday festival in #Hamburg, don´t miss it! 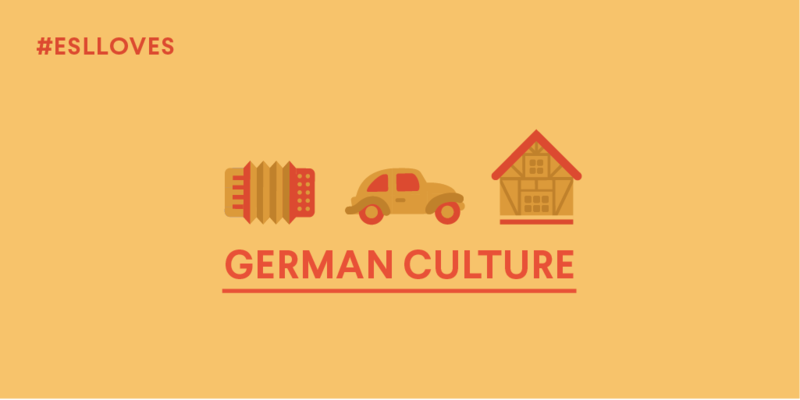 ESLloves the English Theatre in Frankfurt that combines great culture & learning English! A must for chocoholics that ESLloves is the chocolate museum in Cologne! The Kollhoff Tower with its panorama point at Potsdamer Platz guarantees a fantastic view over Berlin ESLloves! Want to feel the former GDR? Go to Ballongarten in Berlin & take a ride with an old Trabant car! ESLloves to see over the beautiful old town of Freiburg from to the Kanonenplatz viewpoint on the castle hill! The castle of Schwetzigen with its park close to Heidelberg is great for a walk in the sunshine! The Pinakotheken museums in Munich show collections of architecture, art & design, plan a full day visit! ESLloves to explore the former industrial site Zeche Zollverein in Essen, an UNESCO world heritage site! ESLloves the views, cute houses & many stairs at Treppenviertel to get the best view on the river Elbe in Hamburg! Market lovers should visit Viktualienmarkt in Munich! ESLloves the stands with fish, fruits, vegetables, meat & cheese! Just want to have a quick stop for eating in Berlin? 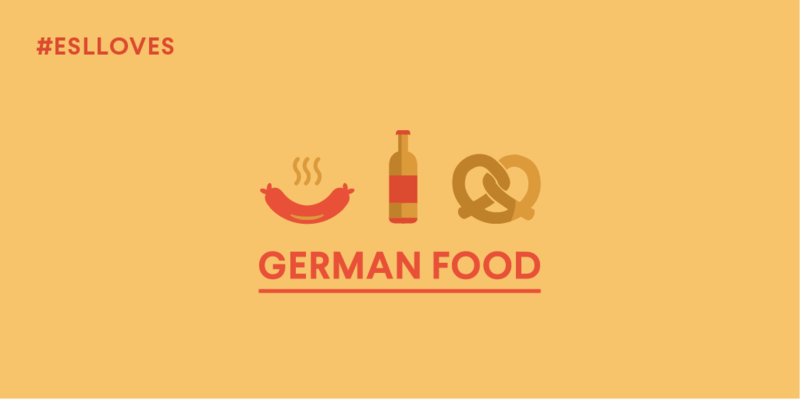 Currywurst is perfect, ESLloves them at Curry 36 & Konopke´s Imbiss! Visit Markthalle Neun in Berlin for the Streetfood Thursday from 17 – 22 o´clock! Try a typcial dish, liver with Brägele (=potatoes) at Goldener Sternen in Freiburg ESLloves. ESLloves to enjoy after a shopping day in Cologne the sweet treats at TörtchenTörtchen! Going to party in Hamburg? Go to Erika´s Eck which is 21 hours open & serves hearty food! The cosy café Schiller´s in the heart of Heidelberg has the best hot chocolate! Visit the idyllic beergarten Könglicher Hirschgarten Munich in summer sitting under huge chestnut trees! 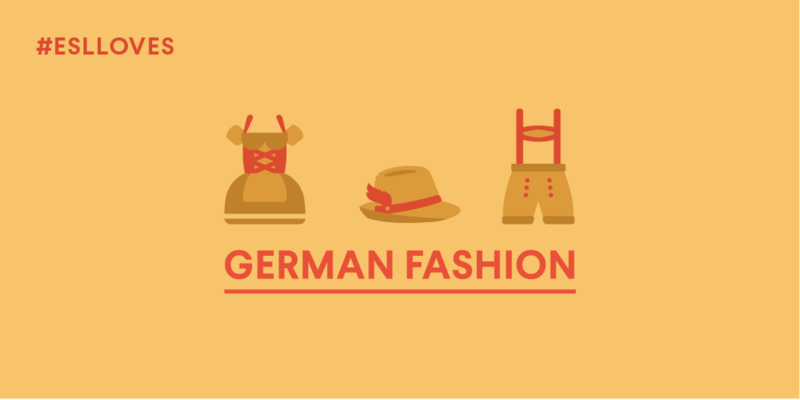 Looking for young Berlin designer labels? ESLloves the stores at Hackesche Höfe! In the Munich quarter Haidhausen you can explore small shops selling handmade stuff ESLloves. It´s a rainy day in Frankfurt? Then enjoy shopping at the indoor Main Taunus Zentrum! In the Hamburg quarter Altona & Ottensen botique stores sell streetwear, ecologically & fair produced! Go to Breite Straße & Ehrenstraße in Cologne to find traditional stores & new designer shops ESLloves! Visit for a day trip from Freiburg the Triberg waterfalls with 163 metres the highest in Germany! ESLloves to go running at the Rhein River & enjoy the skyline of Frankfurt! Enjoy outside of Munich the idyllic Bavarian landscape with lakes like Ammersee & Starnberger See! 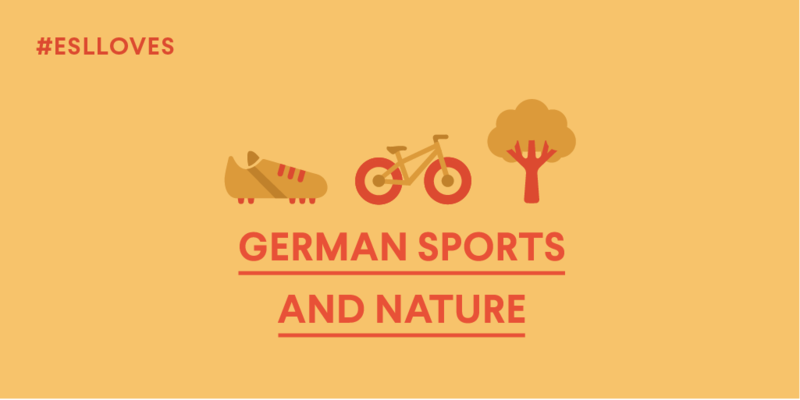 Looking for nature around Cologne? ESLloves to go hiking at the Drachenfelsen! Hamburg is a city of watersports, ESLloves to sail, rent a canoe or a rowboat on the Alster lake! Like to try some new sports? Then do Speedminton, invented in Berlin! Do you also have great insider tips for Germany? Activities one shouldn’t miss when visiting this country? Then share them with us, we’d love to know them!